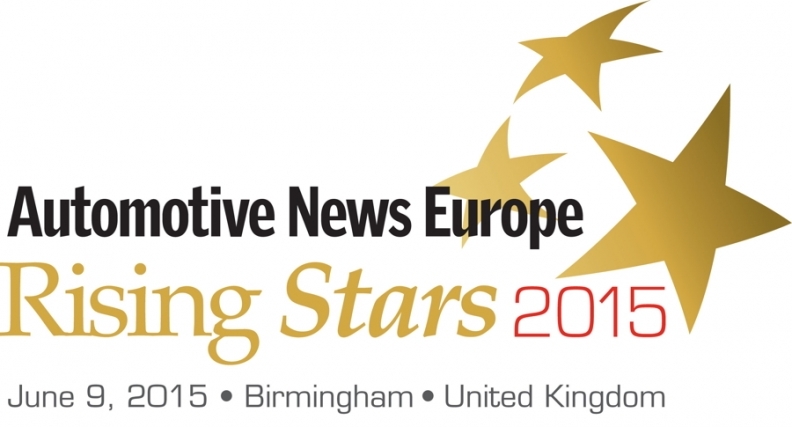 MUNICH -- Fourteen young and talented automotive executives have been selected as Rising Stars within the automotive industry by Automotive News Europe. A gala ceremony to celebrate the 2015 Rising Stars winners will take place at Coventry Cathedral in Coventry, England, on June 9. The fifth annual Rising Stars awards recognize fast-rising auto leaders who are already taking big steps forward in the industry. From automakers to suppliers, manufacturing to design, logistics to purchasing, each Rising Star has spearheaded change and made progress up the career ladder.